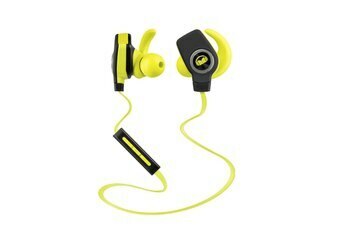 The headphones and remote are designed for all-weather use; they work in the rain, no problem. 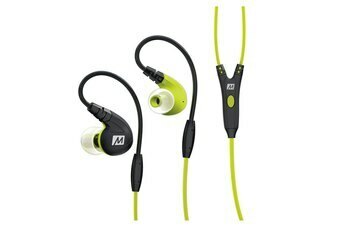 The audio quality is solid for sporty headphones in this price bracket. 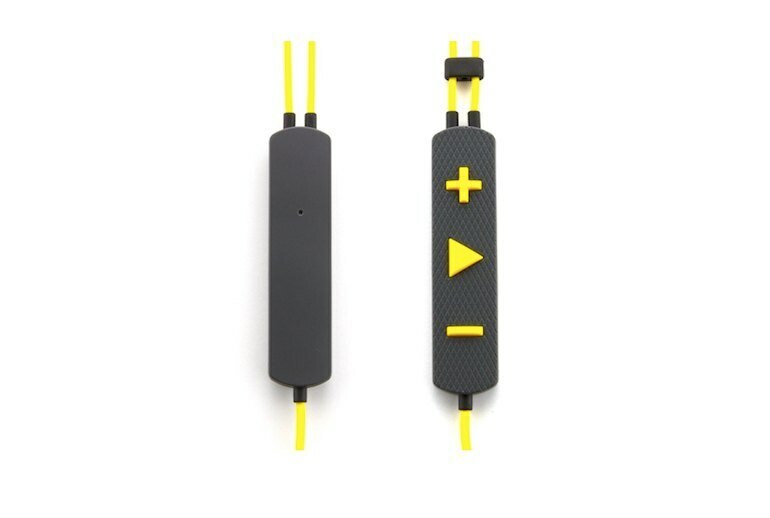 The S4i's cord is durable and anti-tangle. The enormous remote feels heavy when exercising, and it can flop around a bit. While the remote works with iOS devices, most Android users are left out in the cold. 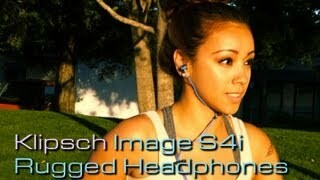 Depending on how vigorously you jog, the S4i ear tips may not be secure enough for you. 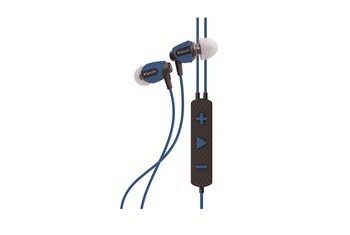 The Image S4i Rugged headphones from Klipsch can be enjoyed in rain, sleet, or snow, thanks to the tough rubber moldings. 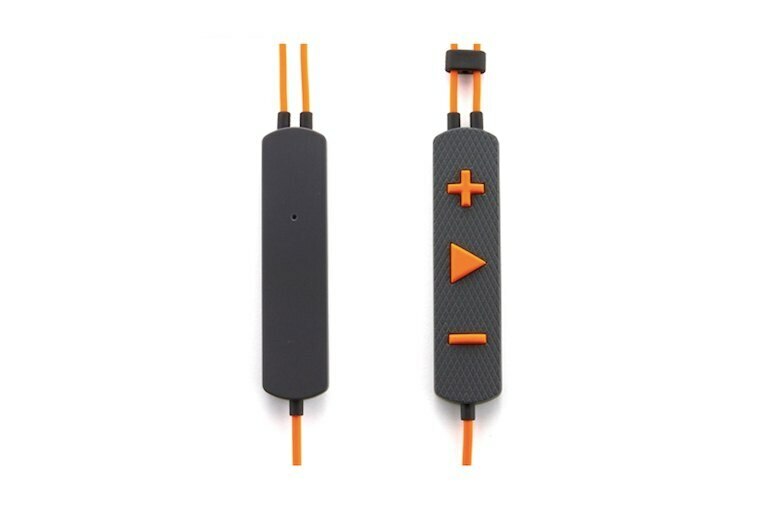 Available in four bright colors--orange, yellow, red, and blue--the S4i features an oversized iOS-driven inline remote. The large size minimizes fumbling for controls when you're out on a run or wearing gloves. You'll find four pairs of silicone gel tips, which are oval in shape. 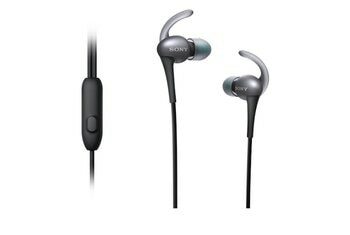 The company's design allows for a tight seal in the ear canal, and the fit helps to block out external noise. Plus, the tighter seal enhances the bass response. Also included in the box is a compact carrying case. 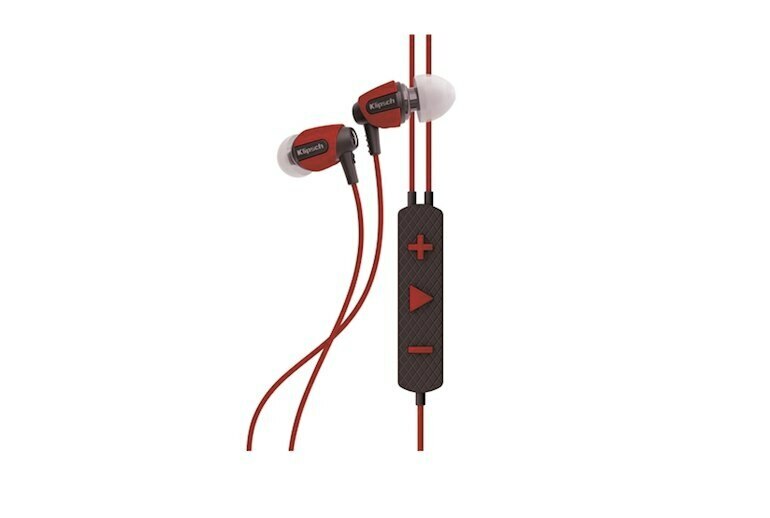 The key to what makes the S4i Rugged earphones and their predecessors so good is the angle of the earphones' post...and the oval shape of the silicone eartips...The combination creates a comfortable fit and Klipsch arguably makes the best-designed silicone eartips, giving a tight seal. We found that electro and hip-hop genres fared best with the earphones as a result, where mid-range warmth isn’t always so notable. The ONLY complaint I have with these headphone is the mic/volume control 'remote' on the cord: it's oversized which makes it easy to grab/feel, but it's just a tad too heavy. I can feel it pull down on the cord just a bit when I'm running. This is easily solved by running the cord through my shirt and letting the shirt take the weight, so it's not a deal-breaker. After about 4 hours of burn-in the bass was present, and quite detailed but just lacking the volume. 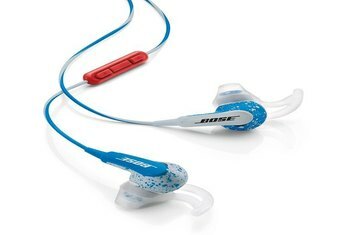 If the artist wanted bass in the song, the S4i Rugged would perform, but in other songs, the bass was not as dominant as other in-ears [I] have tried. The buds themselves are small, and come with a rubberised coating that doesn't exist on the regular S4is. It'll probably absorb a bit of the impact in a drop situation, but you still won't want to stand on them. 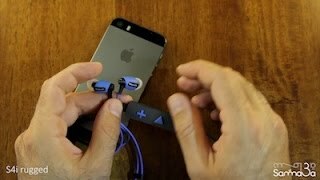 The disadvantage seems to be an increased amount of cord noise in the headphones, a problem that affects all in-ears, but these in particular.